Presenting literary news from Egypt, USA, Morocco, and Qatar! We are back with your weekly dose of literary news from around the world. Our very own Jessie Stoolman takes you on a journey through the cultural landscape of Morocco and Qatar. Following, our editor-at-large on the ground Omar El Adl writes about the latest goings-on in Egypt, and last but not least, Reverie Powell brings you the latest from the buzzing literary scene in Texas. Don’t fret if you weren’t able to attend the book fair because there is still a chance to see Abdellah Taïa at the Librairie des Colonnes in Tangier on May 9, where he will present a brand-new translation of his novel, Un pays pour mourir, into Arabic (بلد للموت). At the book fair, Taïa gave a conference about his writing and the difficulties facing society today which was structured as a conversation between him and young Tangerines. 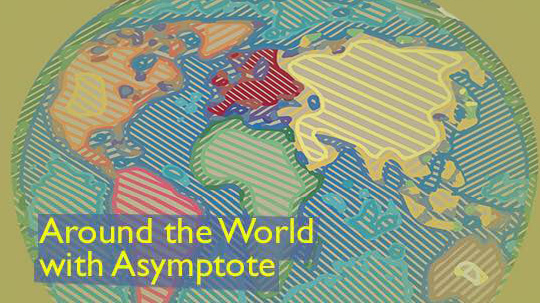 Taïa’s letter “Homosexuality Explained to My Mother” and an interview with the author appeared in Asymptote’s July 2012 issue.